Mirillis Action 3 Full Version - Review, 33% Off Coupon, & Free Download! Mirillis Action! 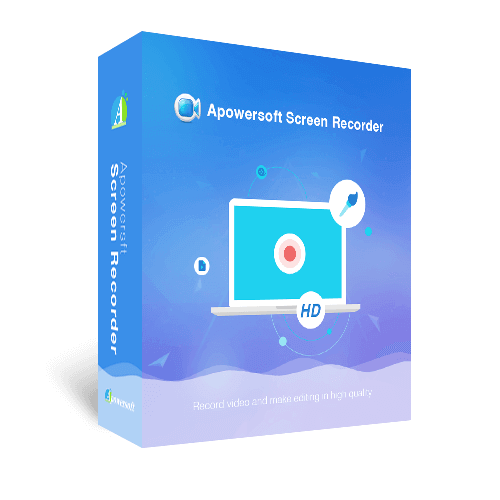 – Screen Recorder – The most advanced screen recorder and gameplay recording software. Get Mirillis Action 3 Serial key with 33% Off Coupon now! Mirillis Action 3 allows streaming and real-time recording of Windows desktop in a superb HD video quality. With Action! you can record and stream your gameplay, web player videos, record music, capture screenshots, add webcams, microphone commentary… and more! Mirillis Action is compact, stylish and user-friendly. Built-in screen and gameplay recording manager allow to browse, delete selected items and export recordings to popular formats and devices. Action! defines the new standard of user experience for games benchmarking, gameplay and desktop real-time recording software. Mirillis Action 3 defines a new standard of performance for gameplay and desktop recording software. 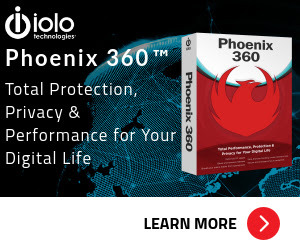 It uses Mirillis ultra-fast, multicore optimized, proprietary video codec (FICV – Fast Intra Compression Video standard) which together with highly optimized application engine provides the ultimate performance of real-time HD video recording. Mirillis Action also captures video directly to MP4 format utilizing NVIDIA NVENC, AMD APP or Intel® Quick Sync Video hardware acceleration. Live streaming to Twitch.tv, YouTube etc. User-friendly and stylish interface – Built-in screen and gameplay recording manager. Greenscreen Mode – Cut out the background, while recording with your webcam, from your video recording. Record webcam or USB/HDMI Capture Devices – Select device recording mode to capture video from gaming consoles, other PC, TV broadcasts, webcams or camcorders. Selected Application Recording Mode – Allows you to record your Windows desktop in complete privacy! Action! LIVE Streaming service – stream all your gameplays, videos or desktop activity to popular streaming services like Twitch.tv, YouTube, hitbox, Ustream, Livestream, Facebook, Aliez and more! Never miss a gaming moment with Time-Shift option – Save your best gameplay actions instantly to a file with just a single hotkey! Record Windows desktop and gameplay in outstanding 4K! – Supports a wide variety of high resolutions video recording, starting from 2K, 3K, 4K video recording up to more than 8K. Webcam background removal with Intel® RealSense™ technology! – Add webcams to your screen and gameplay recordings using automatic background removal option! Smooth Windows HD desktop recording – A new standard of performance and user experience for real-time desktop recording software. Action! Active screen recording mode – Record your videos continuously, no matter how many times you switch from Windows desktop to fullscreen gameplay and back. Use fast, hardware accelerated video exporting with NVIDIA® NVENC, AMD APP or Intel® Quick Sync Video technologies. Add picture from webcams to all your real-time gameplay and desktop recordings! Real-time FullHD 60p video recording directly to MP4 (H.264/AVC) format with NVIDIA NVENC, AMD APP or Intel® Quick Sync Video acceleration. Action! Remote Control Unit – RCU application allows to monitor and control your Action! gameplay and screen recordings with Android mobile devices! Outstanding slow motion effects for your gameplay recordings – Create high quality, smooth, slow motion effects using Action! 120 fps recording option. Support for Logitech G13/G15/G19 multimedia keyboards – Brings the ultimate experience for PRO gamers with Logitech G13/G15 or G19 multimedia keyboards. Smooth screen recording for real-time web videos recording. – Allows to record videos from defined display region, selected application window or in fullscreen mode. Capture screenshots – Capture multiple screenshots of your games or desktop. Add live audio commentary to your screen and gameplay recordings – making easy creation of tutorials and game walk-through videos. Easy video recordings playback. – Action! includes an internal ultra responsive player optimized for AVI and MP4 screen and gameplay recordings playback. Record what you hear – Record everything you hear on your PC. Audio recording function allows to record all sounds, music and game audio. LIVE Streaming service requires the internet connection. WEBCAM BACKGROUND REMOVAL WITH INTEL® REALSENSE™ TECHNOLOGY! Not sure if Mirillis Action does what you need? Try it out now. Please feel free to download Mirillis Action for Windows here. Action! by Mirillis has been tested professionally and we are assured that no viruses, Trojans, adware or malware contained. Mirillis Action retails for $29.95, But, on our website, The Software Shop, you can save on your purchase of its license key with a discount coupon code. This offer is available for a limited time! Mirillis Action 3 Serial Key Giveaway is unavailable at this moment. What are their users saying about Mirillis Action? Really excited to finally enable myself to record some great moments and many more using Action. Thank you so much. Please Report if Mirillis Action Software Deal/Discount Coupon/Giveaway has a problem such as expired, broken link, sold out, etc.